Rediff.com » Movies » What were Hrithik-Sussanne doing in France? What were Hrithik-Sussanne doing in France? 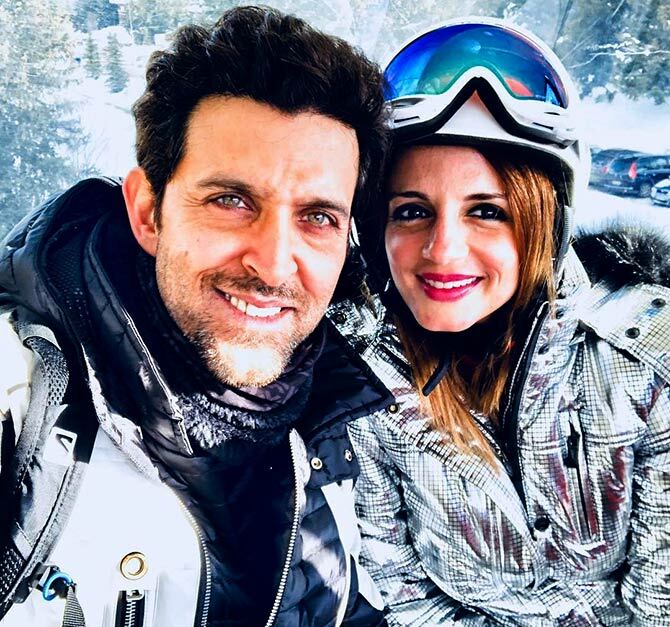 Sussanne Roshan celebrated ex-husband Hrithik Roshan's 44th birthday (that's today, January 10) with a throwback picture of their New Year's Eve holiday in France, and a beautiful message. 'Forever and always you stay the sunshine in my life.. Happy happiest birthday smile that smile brightest and u always will spread that light...limitless #sacredheart,' she wrote. Meanwhile, dad Raakesh Roshan had a birthday gift for his superstar son's fans by announcing Krrish 4 on Twitter. 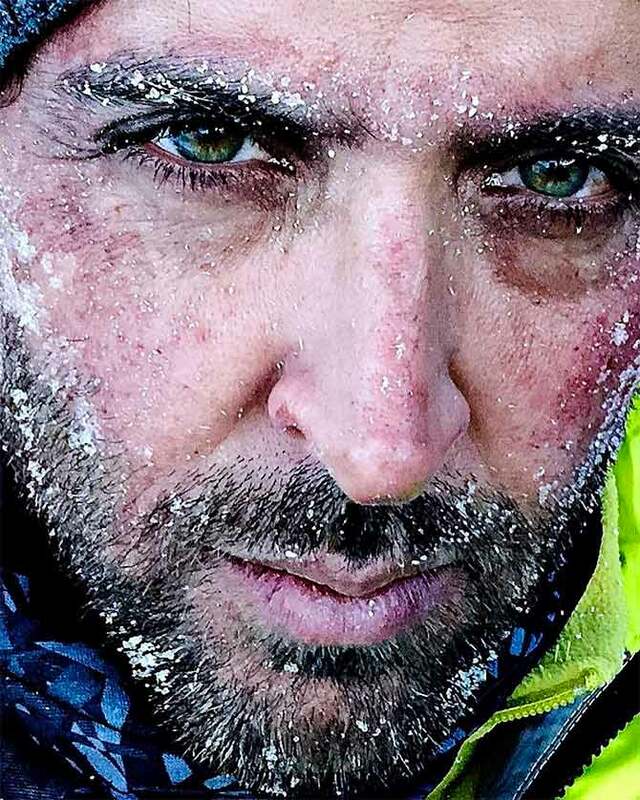 Hrithik will be a fortnight short of 47 when Krrish 4 releases. 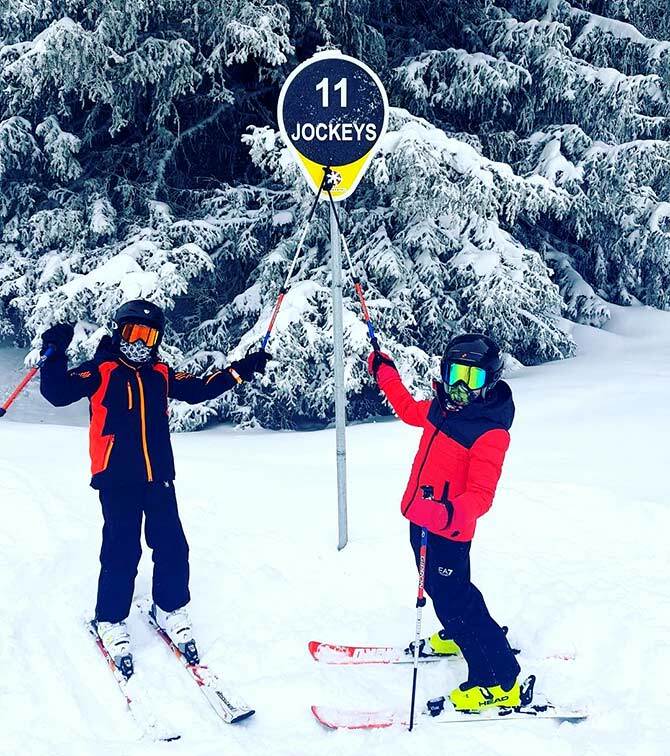 Hrithik enjoys the snow with his sons, Hridhaan and Hrehaan. 'There's greater joy in unbridled laughter with these guys than the best shot I've ever given. You can't be the best if you don't give your best to everything you do,' he writes. 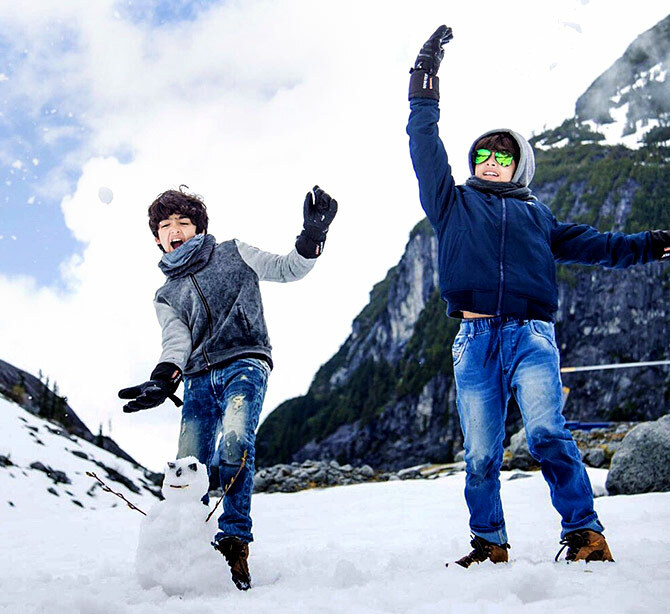 Hrihaan and Hredhaan with their little snowman. 'What excites me is not just the prospect of what we may become, but the ideal that our boundaries cannot be enclosed. Therein lies the great opportunity of our existence, to escape the inevitability of death through the immortality of design: Unknown #quotesilove,' Duggu writes, sharing this picture. 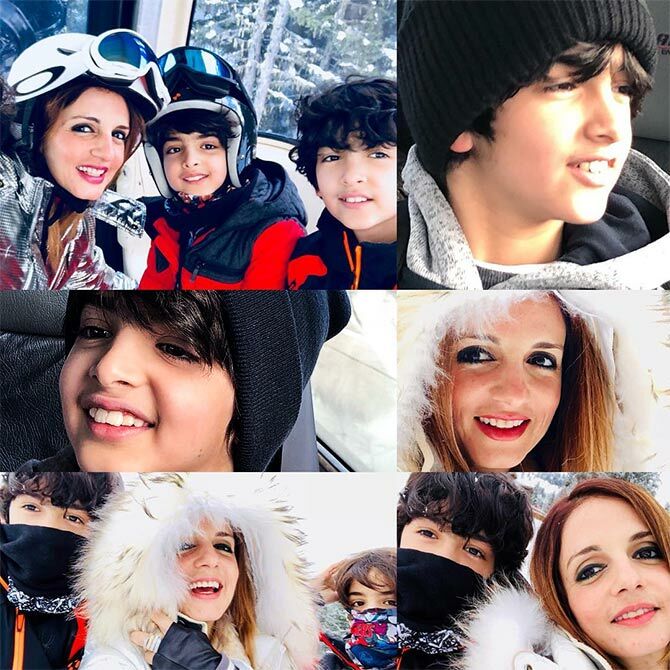 Sussanne shares a collage of pictures with her sons. 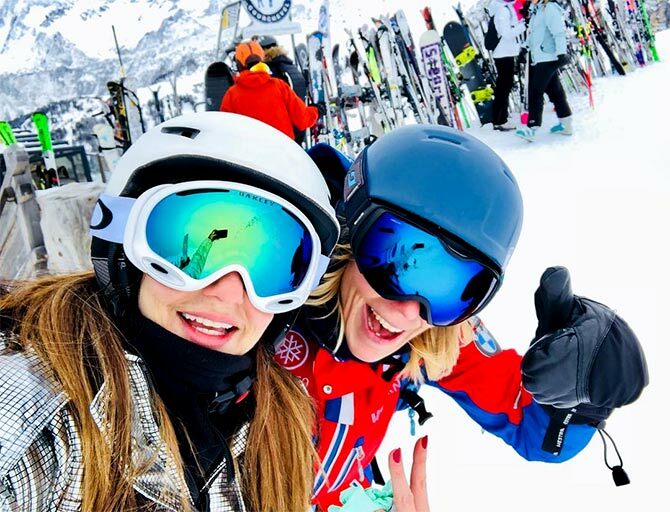 'Sometimes you discover a joy of life so big that u wonder how u didn’t think to try before,' Sussanne writes, sharing this picture with her ski instructor Amelie from Rhone-Alpes, France. Sussanne with her neighbour and BFF Gayatri Oberoi. 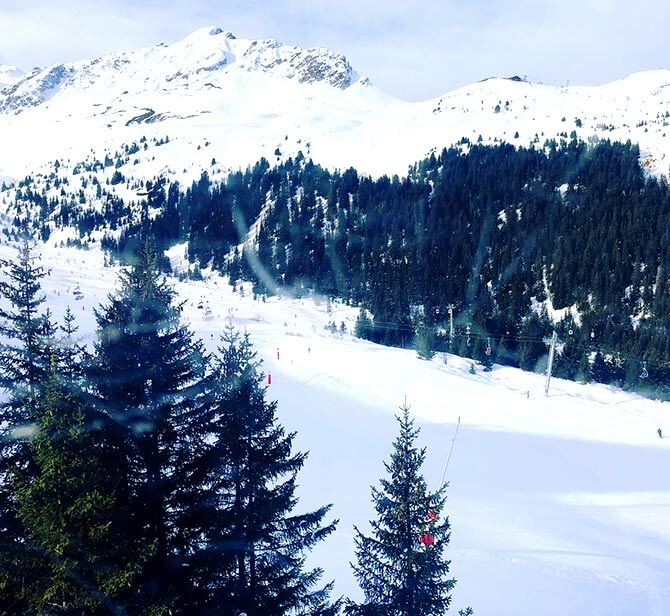 '1850 meters high..the mountains empower.' 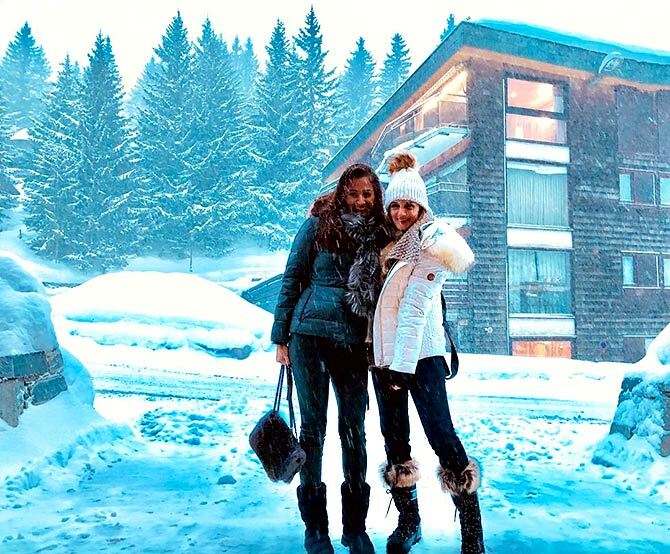 Sussanne shares a picture from Courchevel 1850. What do these pix of Hrithik and Sussanne say?